I am glad you like the Iwako eraser, and that my review is somewhat helpful. I agree that the Iwako eraser is more for entertainment than doing actual erasure, but not too shabby for a toy. I concur your opinion on both erasers. On the latter, I have two Japanese dolls and one cat. I seriously used one of the dolls for a few days before giving up: on certain surfaces it simply doesn’t erase completely. It’s good for things like correcting a shopping list, but working with it one needs a better eraser. That being said, they look awesome on the desk! 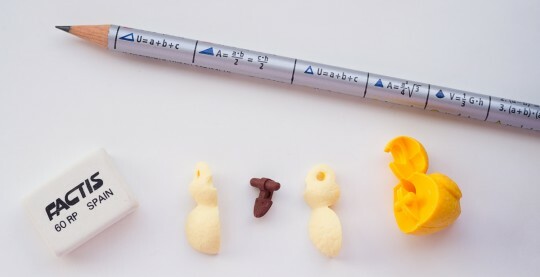 Well Memm, I have to be honest and say these erasers don’t particularly excite me…. (but the Sakura Foam you sent me sure does). Shangching, the price is quite good for a toy, but I’ll certainly use mine as an eraser, not as a toy – but I guess it will survive for a long time as I have a few erasers I like to alternate between. Claire, good to know that it doesn’t seem suitable for big(ger) jobs. My mainproblem with it will probably be that precise erasing is difficult, unless you want to use the duck’s beak – which would probably be used up pretty soon. 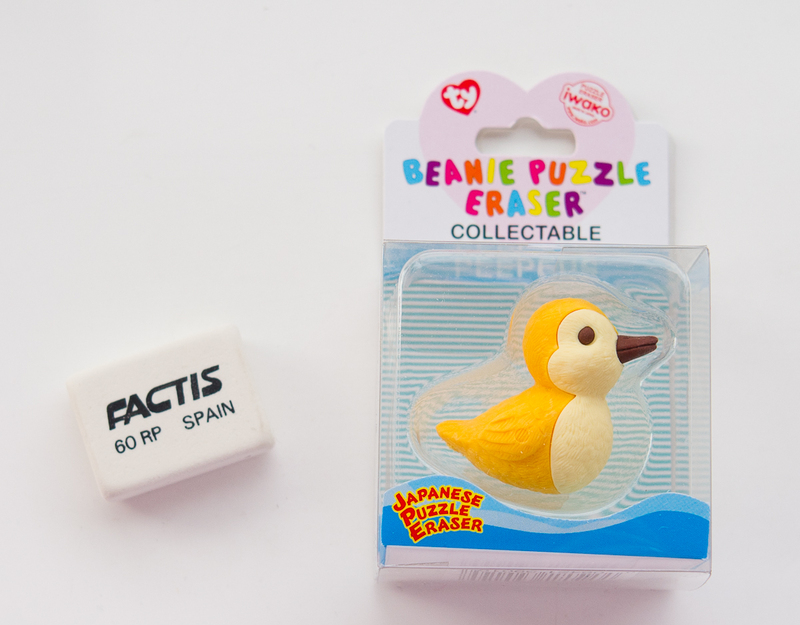 Factis SA is a spanish manufacturer of erasers. Not so known as Milan, the other spanish manufacturer, but still a classic. Factis erasers are manufactured in Spain, I think. I used to buy them from a shop called Botsalo books, in Botswana, Southern Africa. They are delightful to use – wonderful, soft erasers although they do produce a fair amount of eraser dust.